Believe it or not, I had a focus lock in the above photo. 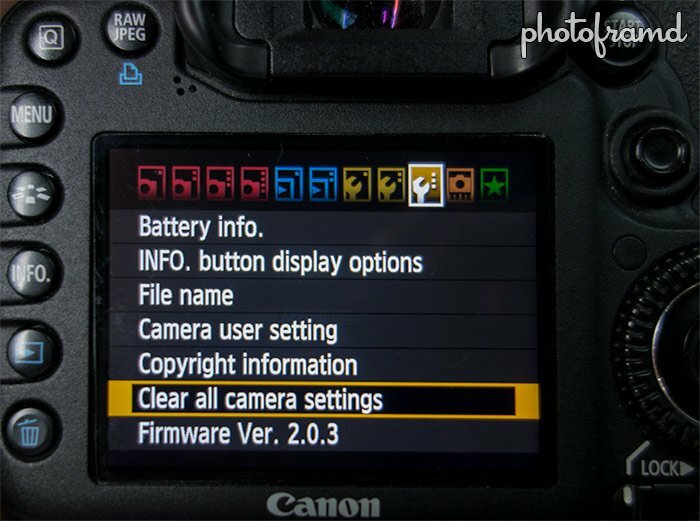 I noticed this problem when I first upgraded to the Firmware 2.0 for the Canon 7D. I updated just before Fashion Week in NYC and I took several disappointing shots as a result. I was hoping that the recent Firmware 2.0.3 would fix this problem. It improved the situation be I still took several soft/out of focus photos even when I had a focus lock. 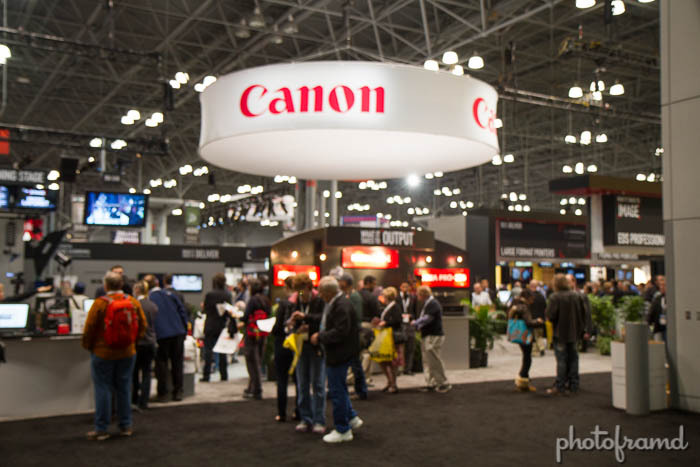 I was hoping for a resolution by talking to the CPS staff at PhotoPlus Expo, but none were in the massive Canon Booth. They were all downstairs in the CPS Lounge and I had just missed the cut-off. So, I called CPS Hotline and spoke to a very helpful tech. He explained that the move from Firmware 1.X series to the Firmware 2.X series in the Canon 7D was a substantial change which did in fact affect the 7D’s focusing. Canon is trying to incorporate some changes that were implemented in the Canon 5D Mark III. As a result, existing presets created under the old Firmware can cause problems. He recommended clearing all presets. 1. Clear Presets on Wrench Screen 3. This is the same screen used to update the Firmware. Just scroll down to Clear all camera settings and press Set. Scroll to OK and click Set again. 2. Clear Presets on Custom Functions Screen. 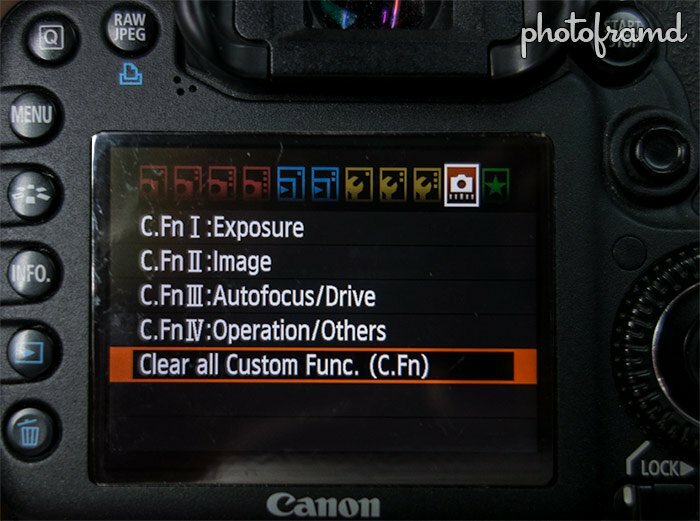 On the main Custom Functions Screen, there is the option to Clear all Custom Func. (C.FN). Scroll down and press Set. Scroll to OK and click Set again. 3. Remove the lens and battery. Just as a final precaution, turn off the 7D and remove both the battery and the lens. You may also want to clean the lens contacts on both the 7D and the camera while you are at it. After taking these steps, my Canon 7D is back being a sharp shooter again. I have noticed this problem on my Sigma glass but not my Canon, I have no custom functions enabled though. I will give it a try and see what happens. It’s a real problem. At PhotoPlus, I was excited to try the new Tamron 24-70mm with image stabilization. I had a focus lock but all of the photos were soft. In the Canon Booth, I was trying the prototype of the Canon 200-400mm L on a Canon 7D (not mine) and it would trigger a focus lock but the obviously not in true focus! I saw this same lens take gorgeous close-ups on a 1DX. I think I have been having similar problems with my EOS 7D. I take lots of pictures of commercial jets/wildfire and over the last months most of the pictures I used to think to myself hey wasn’t my old EOS 400D better? Like better focus. I’m going to update my fireware now to the latest and then try your steps. When you mentioned about taking the battery out did you mean a hard reset by taking the small time batter as well? prompting a full reset after firware upgrade. Try taking the battery out. That should be enough to clear the “confused” 7D. I have never had to remove the hidden watch battery but have seen it pop-up as a solution in posts. You will loose all date-time settings as well as reset your photo counter. Thanks for your prompt reply. Successfuly upgraded my firware and trying out some shots. Hoping to take some aircraft shots tomorrow (heathrow ;)) with some good/decent light. So far I have been testing it on focusing on the text on a X’mas card (AI Focus with spot focusing) and they are looking good I think with 1 or 2 loosing a bit of focus. At times I’m not sure which is better while changing settings (which can drive you a bit crazy!). Anyways I’m hoping to try some more shots indoors and outdoors tomorrow. In terms of finding out if the focusing issue is solved or not, what key facts would you look out for? Apart from the actual focusing points would you also consider the rest of the image be ‘ok’ focused and not soft? (would zooming in max from the preview to see if they are also not soft or not). Sorry for bombarding you with these questions, i’m trying to figure out and learn if my focusing issues are solved/improved. I’ll link you some pictures which I will be taking tomorrow. You will know after a few shots. Just zoom in on the camera and see if they are sharp. I am in the process of uploading some Xmas photos for a new blog article. When the 7D is working, it is an amazing camera. I too have been having problems with focusing since updating the 7d firmware. My sigma 18-50 lens seems to be the worse affected, I have taken your advice and cleared all the custom settings. When I went to PhotoPlus Expo, I saw this issue with a variety of lenses, both Canon and Sigma lenses. Once I cleared the settings with the new firmware, everything worked as it should! Thanks a lot. You save my day. I had same problems. Especially with my new 100mm macro lens. 8 out of 10 photo’s was a desaster. Even on live view the subjet was sharp but at home it was out of focus. I blamed the lens for it. On my search for answers on the net i tumbeled on your blog. Took your advise and did the reset on my camera. Amazingly it worked! now i can focus, shoot and have sharp pictures. Thanks a lot!